This is a very easy and quick recipe, made with ingredients you have in your cupboard. It is perfect for when you don’t have much time, but makes for a very exciting meal! For this recipe we’ve used a combination of our capers, kalamata olives with lemon and herbs and sun-dried tomatoes, but you can adjust it of course, using whatever you have available. When it comes to pasta, we’ve selected our trichromo organic penne. Trichromo means having three colours, which is exactly what this pasta is. 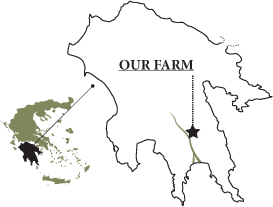 It comes from a small producer in Grevena, in the northern part of Greece. It is made with organic durum wheat semolina. The red pepper from Florina region in northern Greece gives this penne its red colour and peppery taste. Organic spinach turns it green and vibrant. Similar to fresh pasta, penne trichromo cooks in a few minutes! We told you it is a quick and easy recipe! Boil the pasta for 5-8 min, or until al dente. Drain and place it in a large bowl. Drizzle the olive oil and stir. Add the capers, olives and sun dried tomatoes, fresh parsley and toss until well mixed. Serve hot or at room temperature, drizzling some more olive oil. 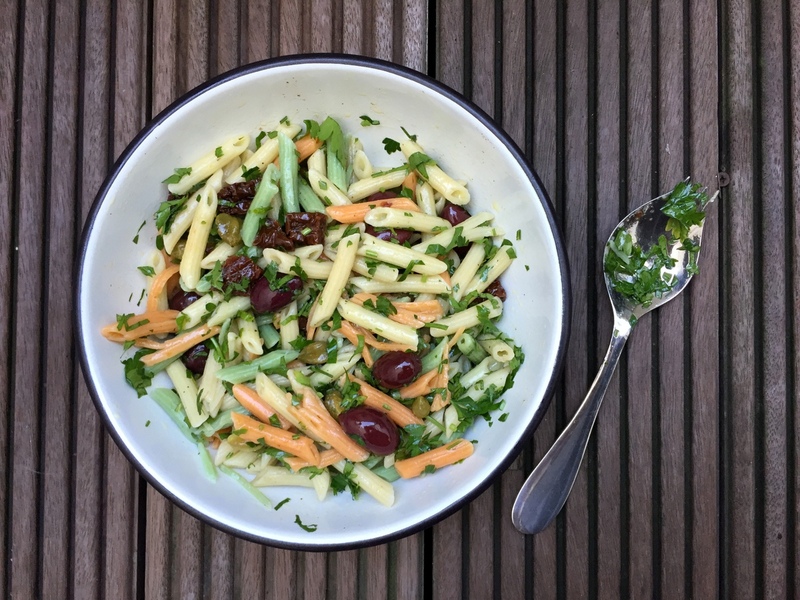 This entry was posted in Recipes and tagged capers, olives, pasta, sun-dried tomatoes, vegan.